With remote collaboration, participants are at their best when they have the freedom to work and communicate as naturally as if they were face to face. 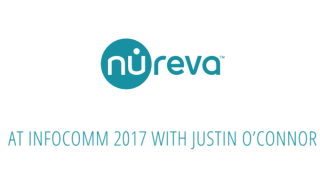 Tyrone Chou, senior product manager for Nureva explains the benefits and demonstrates the HDL300 audio conferencing system. The proprietary Microphone Mist technology built into the HDL300 creates over eight thousand virtual microphones to ensure not only that the entire room is covered, but that participants can be heard whether they are at a table, standing at a white board, or moving around the room.